Today, His Eminence Mgr. Gallagher, Secretary for Relations with States of the Vatican Secretariat of State, accompanied by Msgr. Mauricio Rueda Beltz of the Section for Relations with States, received the Minister of Peshmerga Sinjari and his delegation, accompanied by the High Representative KRG in Italy and to the Holy See, Mrs. Rezan Kader. The talks focused on the situation in the Kurdistan region and the progress made on the ground, such as the recent liberation of Sinjar. In particular, the Min. Sinjari has focused attention on the humanitarian emergency in the Kurdistan Region with about 1.700.00 between refugees and displaced persons that makes the situation unsustainable, given the dramatic economic conditions that the region is experiencing. The resources of the KRG are no longer sufficient, without more support from the international community in terms of humanitarian assistance and economic aid, refugees and displaced persons will be reversed to Europe. For this reason, the Min. 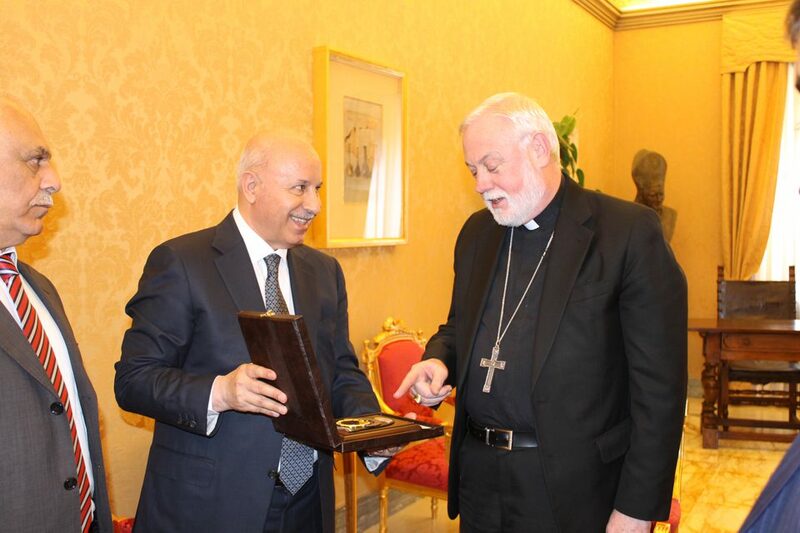 Sinjari invited the Holy See to further support the Kurdistan Regional Government in assisting Christian brothers and the rest of the Kurdish people. Mgr. Gallagher has expressed his appreciation for the enormous sacrifices made by the Region to manage the humanitarian emergency and promised the support of the Holy See in order to contribute to restoring peace and stability in the region and better conditions of life to his people .